Trinity Designs: A Major Award! No, it's NOT a Leg Lamp! 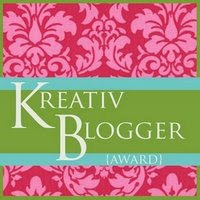 My good friend and stamping buddy, Kelly Taylor has sent me this Way Cool Blogger award! I am so honored! Thanks, Kelly! You see, Kelly is a stamping ROCK Star - she is soooo creative and I love her work. Not to mention she is a really cool gal! You need to check out her new blog HERE. Her work is very whimsical and fun - and PINK! So, here's the HARD part - now that I've been given this MAJOR award, I need to choose 5 other bloggers that I love and pass it on! There are so many I love and are inspired by every day, but I'll just pick the 5 that come to mind first. Ok, make it 6! LOL! Be sure to check out their work! Oh WOW Robin! Thanks so much for this special award! You are so sweet :) I will display it proudly....when I find the spare minute to upload it :)Thanks again, take care and have a great weekend!